Johanna Fröhlich, LL.M. ’15, was pursuing her Ph.D. in comparative constitutional law at Pázmány Péter Catholic University in Hungary, where she also obtained her law degree, when she felt a yearning to learn more about the United States legal system. 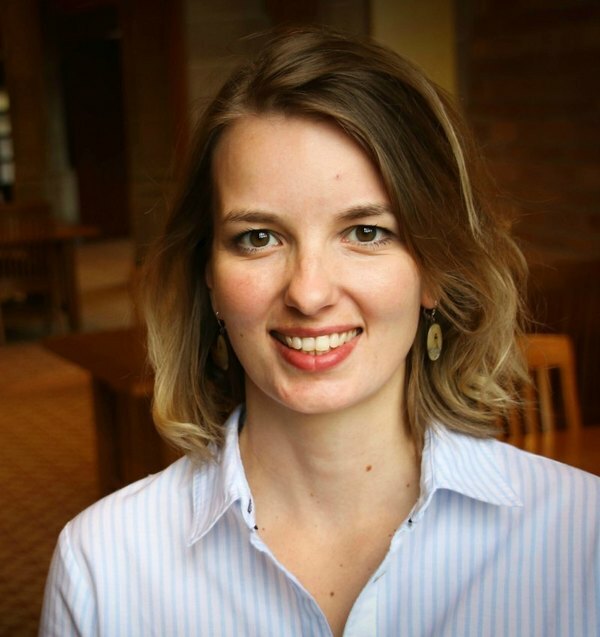 After exploring several LL.M programs in the United States, Fröhlich came to Notre Dame Law School in 2014 as one of the students in the school’s inaugural LL.M. class. Now, she’s a teacher herself. She said she chose NDLS because she was looking for a place with a classical LL.M. approach, rather than a specialty program. She wanted to interact directly with faculty and students –especially those that shared her interest in comparative law – and to choose her own classes. The small size of the NDLS LL.M. program and the complete integration of LL.M. students with their American law school peers, lended itself well to Fröhlich’s goals. Taking classes such as constitutional law, theory of the common law system, federalism, and the philosophy of Thomas Aquinas, Fröhlich used NDLS’s program of study concentrations – including public law – as a base to create a uniquely designed program that fit her educational and research plans. Fröhlich said she was very impressed with the personal attention from the faculty at NDLS including professors Amy Barrett, A.J. Bellia, Paola Carozza, John Finnis, and Jeff Pojanowski. Her year at NDLS has had a profound and direct impact on many aspects of her life, she said. Fröhlich said that her Ph.D. advisors have noted a very visible improvement in her writing after her time at Notre Dame. In addition, she is incorporating what she learned at NDLS as she teaches in the first comparative law class ever offered at the Universidad San Francisco de Quito in Ecuador. She is also examining the constitutional court of Ecuador with a keener eye, studying how it interprets and reasons its decisions, and researching how more legal analysis would make the court more objective. Fröhlich has also secured funding from the European Union to create a partnership between her home university, Pázmány Péter Catholic University, and the Universidad San Francisco de Quito. The goal is to bring students and professors of the two institutions together and build personal relationships through the exchange of ideas, research, and knowledge – something Fröhlich saw first hand during her time at NDLS. Fröhlich plans to continue to teach in Ecuador for now, complete her Ph.D., and later on take her knowledge and experience home to Hungary. Originally published by Denise Wager at law.nd.edu on August 03, 2016.